The Centers for Disease Control and Prevention (CDC) recently released preliminary figures that show a slight decrease in deaths from drug overdoses among Americans in late 2017 and the first quarter of 2018. Despite this reduction in overdose deaths, the United States remains amid the most catastrophic drug overdose epidemic in its history. In fact, the CDC report found that opioids were involved in the majority of overdose deaths, killing almost 48,000 people in 2017. News outlets nationwide have reported high overdose rates. Drug overdose deaths have been a significant source of strain on the entire nation, with opioids and fentanyl taking center stage. The CDC report showed that more than 72,000 people died from a drug overdose in 2017 — a 10 percent increase from 2016. About 68 percent of these deaths involved opioids. The CDC estimates that about four times more overdose deaths involving opioids occurred 2017 than in 2002. The CDC cautions that these numbers could be even worse because some states’ drug overdose investigations are incomplete. For example, one analysis discovered that adjusted 2014 opioid mortality rates were actually 24 percent higher than what was originally reported. 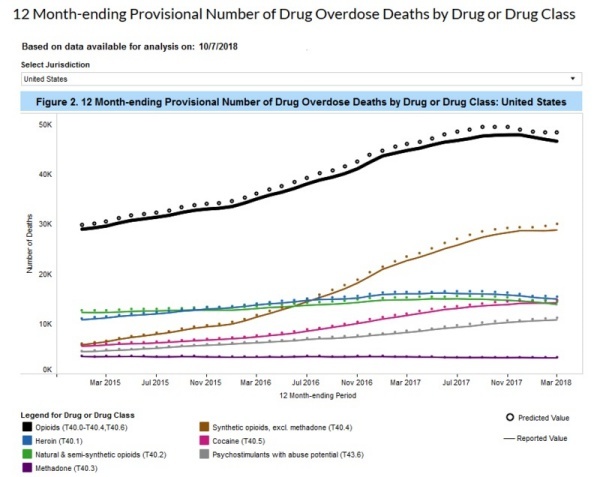 However, drug overdose deaths appear to be plateauing somewhat over the past few months, which has led experts to believe that efforts made to curb drug overdoses may be effective. While the drug overdose epidemic plagues the entire nation, states like Ohio, West Virginia and Pennsylvania experience the highest rates of overdoses. Opioid overdoses are particularly prevalent in these states. The West Coast, on the other hand, has not experienced the same types of spikes in synthetic opioid overdose deaths. However, states that include Washington, Oregon and Nevada have seen more deaths related to psychostimulants like methamphetamines. Opioids are powerful painkillers that are often prescribed to patients who deal with severe pain, whether from surgery, injury or another source. In the 1990s, many pharmaceutical firms promised the medical industry that opioid pain relievers were not addictive and that patients taking them would be at minimal risk of developing an addiction. Based on this reassurance, health care practitioners started prescribing more opioids to their patients. This increase in opioid medication prescriptions resulted in rampant misuse of opioids before the medical community understood that such medications could be addictive. By 2017, the U.S. Department of Health and Human Services (HHS) deemed the opioid crisis as a public health emergency. The crisis has been characterized by dramatic increases in opioid misuse and overdoses. The opioid epidemic has also caused many newborns to experience withdrawal symptoms as a result of mothers’ increased use and misuse of these drugs during pregnancy. The rise in fentanyl has caused a dramatic spike in overdose deaths. Fentanyl is a synthetically-produced product that is about 50 times stronger than heroin and about 100 times stronger than morphine. Fentanyl is often imported from overseas and is sometimes added to other drugs without people knowing about it. Because of this, the drugs that many people take may be more dangerous than they might believe. Any drug can lead to overdose, and those that are more easily accessible and potent can make deaths from overdose more likely. People can even overdose on over-the-counter drugs, including those that seem harmless, such as cold medication. Adding to the danger, many prescription drugs are not obtained through a direct prescription from doctors but from friends and family. In light of high overdose death rates in the United States, many states have implemented laws to increase awareness of substance misuse, such as providing educational programs on the misuse of prescription medication, encouraging people to dispose of unused drugs responsibly, limiting opioid prescriptions and increasing the supply of naloxone — an antidote for opioid overdoses — to emergency personnel. Despite the sharp rise in drug overdose deaths in recent years, the number of deaths according to the CDC’s report seem to have dipped slightly over the first few months of 2018 compared to where things left off in 2017. By the end of December 2017, the number of reported drug overdose deaths was 70,771. By the end of March 2018, the number of drug overdose deaths reported was 68,690. The CDC’s Opioid Overdose Prevention Efforts are dedicated to improving how trends are tracked and the quality of the data reported. The efforts are also dedicated to establishing effective health interventions, supplying health care practitioners with the necessary tools to prevent overdoses and providing educational programs to the general public. Some states that have been seeing serious issues with opioids, such as Massachusetts, Vermont and Montana, have recently been experiencing decreases in overdose deaths. Such reductions may suggest that local addiction prevention programs in these locations, as well as efforts on a national level, might be taking effect. Further, Congress recently made it more affordable for patients to access addiction treatment programs by passing the Support for Patients and Communities Act, a bill that is designed to make it easier for people to access treatment programs and alleviate restrictions on medication-assisted treatment for addiction. Where Can People With Addiction Go For Help? The fight against addiction and drug overdose deaths is far from over, and efforts to combat the issue continue. In the meantime, if you experience a substance use disorder, we encourage you to get help before you reach the point of overdose. 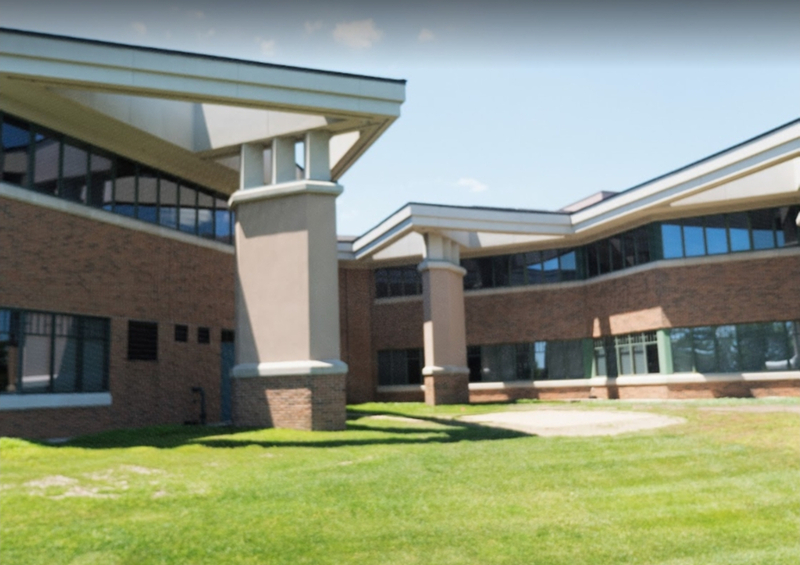 The best way to do that is to access Ohio addiction treatment resources to find a reputable treatment center geared toward helping those with substance use disorders. Contact The Recovery Village Columbus and speak with an intake coordinator today.